Premier League giants, Liverpool made waves on their way to reaching the Champions League final last term, and considering their brilliant performances so far this season, they are still a force to be reckoned with. While it was Egyptian winger Mohamed Salah who ran riot and pushed The Reds to an incredible height during the previous campaign, things have changed this season, with his teammate Sadio Mane stepping up and taking charge of events in Merseyside as Jurgen Klopp's men continue to show their class in European football. 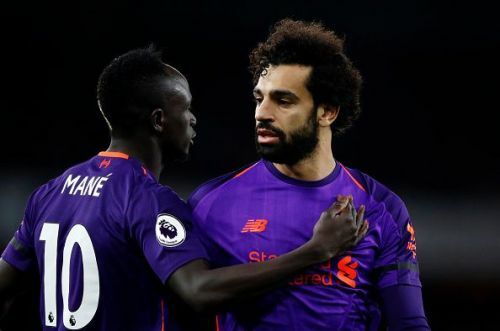 Although Salah has also had a prolific campaign so far chipping in a couple of goals, when it comes to who has been more important to The Reds between the two superstars, the nod surely goes to Mane. Cometh the hour, cometh the man; Sadio Mane has been Liverpool's standout performer since the turn of the year and below, we analyse why he is shoulders above his strike partner in terms of influence this season. With 20 goals and 9 assists to his name in 41 appearances across all competitions this season, it is pretty obvious that Mohamed Salah has had a relatively prolific outing this term. But when it comes to the question of who has been more consistent, Sadio Mane clearly has the edge. Mane has been a constant force in Liverpool's squad this season, firing on all cylinders in front of goal to keep The Reds in contention for the Premier League title. Whereas, his Egyptian counterpart has been going on and off with his efforts since the beginning of the term. Sadio Mane has bagged 20 goals and 4 assists for Liverpool so far this season, including 11 times in his last 11 appearances for The Reds across all competitions. It is actually his efforts that have kept Liverpool in the title race since the turn of the year. 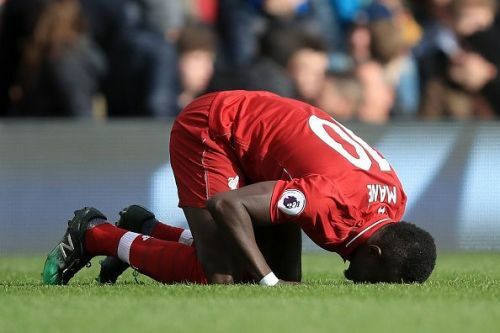 Apart from scoring vital goals and maintaining his consistent brilliance, Sadio Mane has also been impressive when it comes to stepping up and providing answers when it really matters this season and that is another thing that proves he has been more influential than Mohamed Salah for Liverpool during the term. When the Premier League title race hit an intense height following the turn of the year, it was Mane that stepped up to provide inspiration and led the team to claim 4 victories in their last 6 Premier League games and scoring 6 goals in the process. He also produced an outstanding performance with 2 amazing goals to eliminate Bayern Munich from the Champions League last week and sealed a quarterfinal place for Liverpool. Salah, on the other hand, has struggled to impress in big games throughout the campaign.